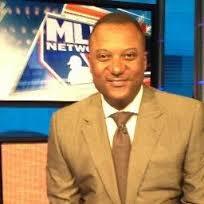 June 22, 2015 - Darryl Hamilton, former outfielder and MLB Network analyst, was found dead at a home in Pearland, Texas, in an apparent murder-suicide. After responding to a disturbance call on Sunday afternoon, police discovered the body of Hamilton, 50, at the entrance way of the suburban home along with 44-year-old Monica Jordan in another room. Their 13-month old son was also found unharmed and was turned over to child services. Investigators say it appears Hamilton was shot multiple times and Jordan died of a self-inflicted gunshot wound. Hamilton, known as a terrific defensive outfielder, had a 13-year major league career with the Milwaukee Brewers, Texas Rangers, San Francisco Giants, Colorado Rockies and the New York Mets. He was part of four playoff teams, including the 2000 National League Champion Mets team that lost to the Yankees in the World Series. After his retirement in 2001, Hamilton moved into broadcasting, joining MLB.com in 2003. He also had stints as an analyst on Compass Media Network’s radio broadcasts for the Los Angeles Angels of Anaheim, NBC Sports Network’s “SportsTalk” and Houston's KPRC-TV before joining the MLB Network in 2013. "All of us at Major League Baseball are shocked and saddened by this tragedy. Darryl followed a successful 13-year career on the field by assembling a multifaceted career in our game, working for MLB Advanced Media and in our Baseball Operations Department before moving on to MLB Network. He was a talented and personable individual, and we were proud to call him a member of the Baseball Family. On behalf of Major League Baseball, I extend my deepest sympathies to Darryl's family and his many friends throughout our game."